Share this product and receive a $0.56 sharing discount. Tully wants more than anything to make his teacher smile. But no one knows that Miss Ravenstow is trying to escape the pain from her past. No one, that is, except Tod the mailman, who holds in his hands something far more valuable than a special delivery. Discover a very special Christmas story that opens the door for those seeking shelter from the pain of their past. 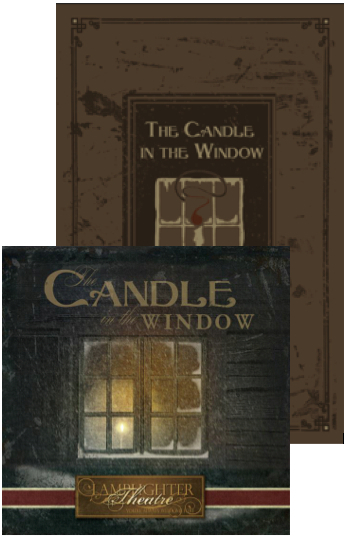 Inspire your entire family with a beautiful portrayal of how a simple candle in the window can bring hope for the future and an encounter with the Light of the world. From Cindy Davis of Ontario, New York on 10/31/2016 . I've heard this story on the radio and loved it so much I'm giving it as a Christmas gift this year! From Anonymous of Natchitoches, Louisiana on 1/17/2016 . This is our favorite one so far - We even put a candle in our window for Christmas. I really liked the package deal also! From Debra King of COLUMBIANA, Alabama on 1/5/2014 . Listened to the CD on a road trip, very touching story about faith.